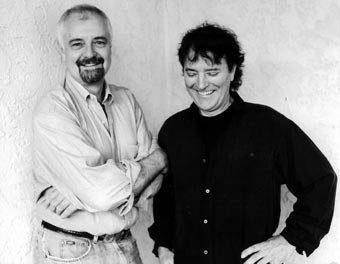 James and John have been part of the Southern California music scene since its heyday in the early 1970s. James recorded his first album in 1973 and since then he’s released close to 30 more, including the highly lauded Freelance Human Being. John was part of the popular duo Batdorf and Rodney and the group Silver. He and James released All Wood and Stones eight years ago, and now they’re back with All Wood and Stones II. Both collections feature dazzling guitar playing, luminous vocals, and ingenious arrangements. And if James is even half the story-teller he was when he first appeared at the Freight back when it was located on San Pablo Avenue, fans are in for some good laughs along with the great music!